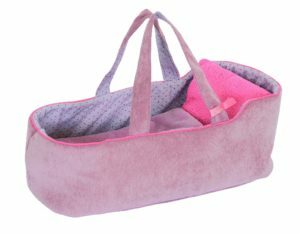 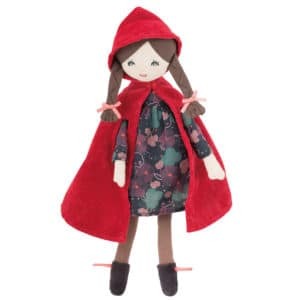 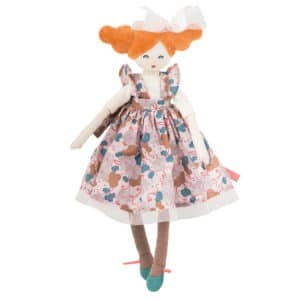 The Ma Poupee jumper set is suitable for all the 27 cm Ma Poupee dolls. 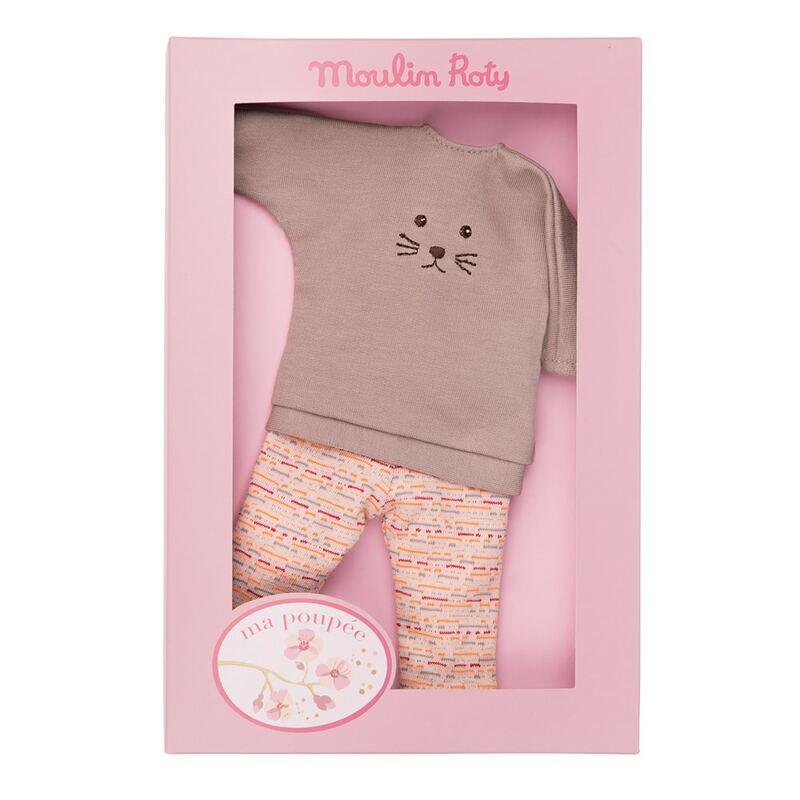 The set includes a long, jersey jumper with a cute cat face embroidered on the front (jumper is fastened at the back with velcro) and a pair of stripey jersey trousers with sparkles. 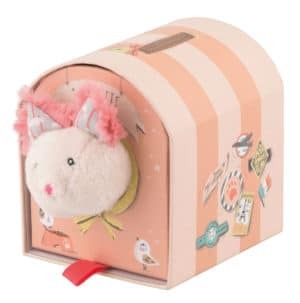 The jumper set comes presented in a lovely cardboard box, featuring the Ma Poupee motif!